To start off the New Year, this week’s post on moonlighting animation artists in comics is Warner Bros. animator John Carey! Born in 1915 in St. Louis, Missouri, John Nelson “Jack” Carey started his career in animation at Warner Bros. in 1935 as an in-betweener, eventually rising up as an assistant animator. In the summer of 1937, shortly after Bob Clampett moved into directing—in a separate unit supervised by business manager, Ray Katz—Carey signed a contract to become a full animator on the black-and-white Looney Tunes. He animated for Clampett until around 1941, when Tex Avery left the studio—with Clampett inheriting his staff—and Carey moved over to Norm McCabe’s unit, which produced some of the last black-and-white cartoons for Warners. 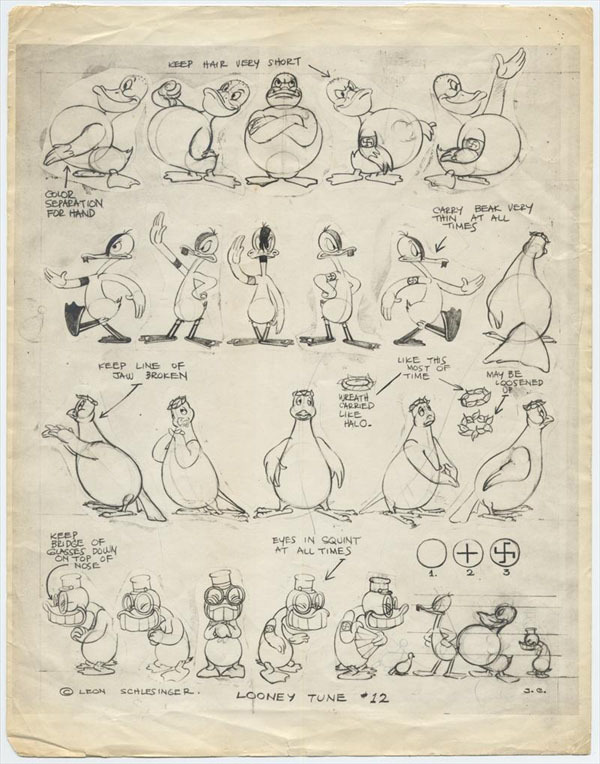 Besides serving as an animator, Carey also drew character layouts and model sheets for Clampett and McCabe; for instance, he prepared the model sheet for The Ducktators (1942), signed “J. C.” In 1943, he was drafted into the Navy, in which he took a three-year absence from the studio. Carey arrived back at the studio in 1946 as an animator in Bob McKimson’s unit. 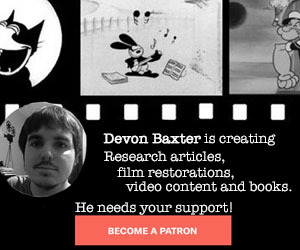 He also animated for a brief period for Art Davis, and returned back to McKimson. 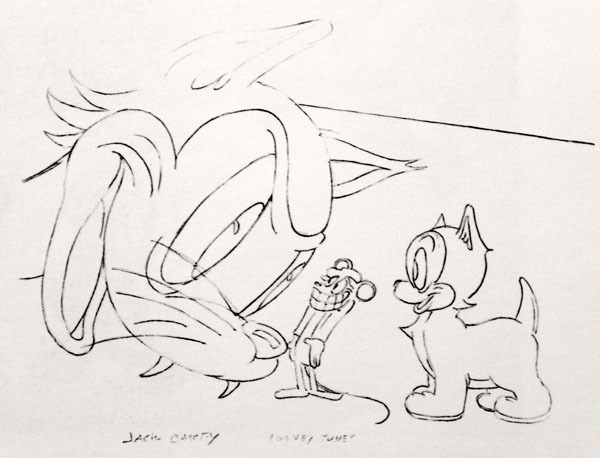 Eventually, Carey was interested in adding comic book work to his regular salary for animation, so he conducted a meeting with art director Tom McKimson in Western Publishing at the end of 1949. Carey started drawing for Western Publishing in January 1950, often penciling, inking and lettering his stories at home. He drifted to Chuck Jones’ and Friz Freleng’s unit, respectively, for brief stints; he is credited for his animation on three titles, released in 1951 — A Hound for Trouble (Jones), Canned Feud and The Fair-Haired Hare (both Freleng). By December 1950, he left Warners to work for Western Publishing full-time, mainly working on featured comics with the star Warner Bros. characters, based on his animation experience with them. Two years later, Tom McKimson offered Carey to draw Walter Lantz’s characters, including Woody Woodpecker, Andy Panda, and Oswald Rabbit. In addition to the stories, Carey also began drawing covers for Western. Throughout the 1960s, he drew various Hanna-Barbera characters when Western was given rights for usage in comic book stories. 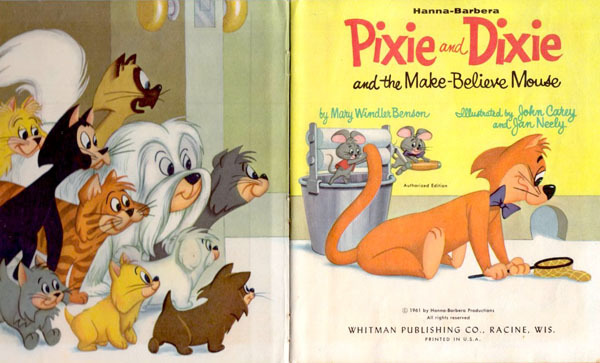 He also illustrated coloring books and two known children’s books that credit his name — Augie Doggie Camps Out and Pixie, Dixie and the Make-Believe Mouse, both published in 1961 for Whitman’s Top Top Tales series. During this period, Western expanded beyond using licensed characters for their vast comic book line. For instance, Carey worked on The Little Monsters in the mid-‘60s, an original comic book series produced under Western’s Gold Key banner. Despite drawing fill-ins during the 1950s and 1960s, Carey had not drawn any stories with the Disney characters on a regular basis until 1967. He handled several comics with April, May and June (Daisy Duck’s nieces), Chip ‘n’ Dale, Super Goofy, Gyro Gearloose and the Junior Woodchucks. A decade later, in 1977, he handled stories with Winnie the Pooh, written by the late Vic Lockman. Carey retired when Western Publishing shuttered its comic book branch in 1984, and passed away at his home in Sepulveda, California in 1987. Displayed here is a small sample, an overview of Carey’s long career in comic books, spanning from the early 1950s through the late 1970s. 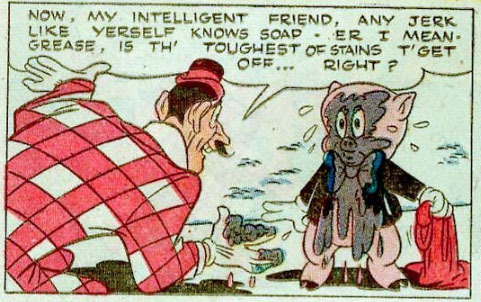 • “Oil’s Well That Ends Well!” (Bugs Bunny)—Four Color #393 (April-May 1952)—written by Don Christensen. • “Mr. Turner and the Magnarope” (Gyro Gearloose)—Walt Disney’s Comics and Stories #331 (April 1968)—written by Vic Lockman. • “Backscratch Tree”—Winnie the Pooh #5 (February 1978)—written by Vic Lockman. 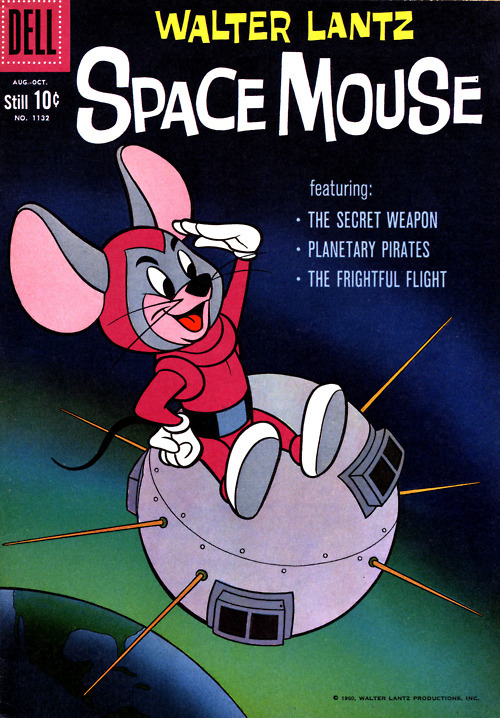 Rather interesting that the “Space Mouse” animated pilot was an adaption of the first comic story. Did the female under-cover agent appear in any other “Space Mouse” comics.